Childhood obesity is a public health crisis. 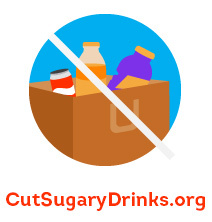 Studies have shown that sugary drinks are the single largest source of added calories in the American diet even toddlers consume far more calories from sugary drinks today than they did 30 years ago and early childhood obesity rates have more than doubled over that same period of time. In response to this threat, Healthy and Active Before 5 and First 5 Contra Costa have launched a hard-hitting campaign urging parents to protect their toddlers and preschoolers from sugary drinks, and serve them water instead. The beverage industry spends millions marketing sugary drinks to children, especially to Latino and African American children. 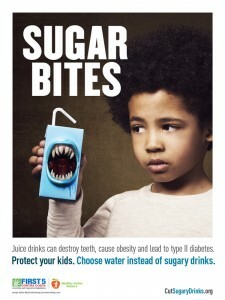 We think parents deserve to know the truth about the serious health risks associated with these drinks. In order to protect the health of Contra Costa County kids, we’ve provided a counter message to what the beverage industry uses to target our children. We hope this helps parents to establish healthy habits in young children that will lead to long, healthy adult lives. Look for ads in English and Spanish on BART platforms, transit shelters, convenience store windows, and check cashing facilities in Bay Point, Concord, Pittsburg, Richmond, and San Pablo. These will run through July and August. 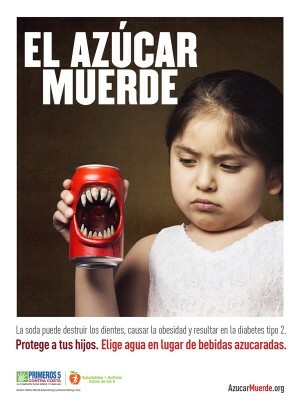 We also have developed websites in English and Spanish with more information about sugary drinks and why water and low-fat or non-fat milk are the healthiest options for children. partners childhood obesity, healthy beverages, Monument, Pittsburg, Richmond, soda, sugar. permalink.